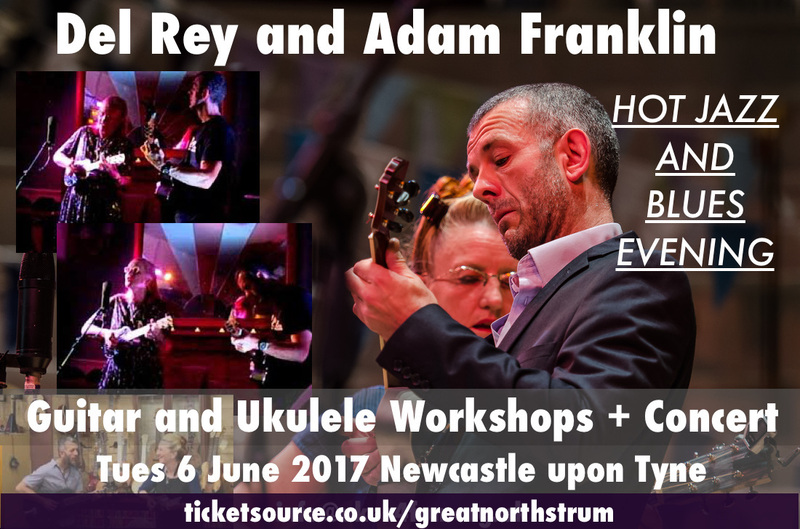 Mark Jackson & Jane Jelbart are finally visiting the UK! to create a “ukulele orchestra” performance. Our aim is to get you, and your fellow uke players, into riffs and the pentatonics that will improve your technique and music theory knowledge. the outcome is a group sound that gets beyond “hum’n’strum”. Here we apply our new pentatonic skills to a bunch of different songs and genres (pop, folk, blues). How does that new skill feel in the context of that song? Even better, can you steal some ideas from other songs and riffs you dredged up from the deeper recesses of your memory. Bring a ukulele tuned GCEA! “We like to explore the emotional canvas with the uke, vocal harmony and other instruments, be they happy, sad, insightful or funny. There will be time to browse and shop during the Breaks and after the Raffle. 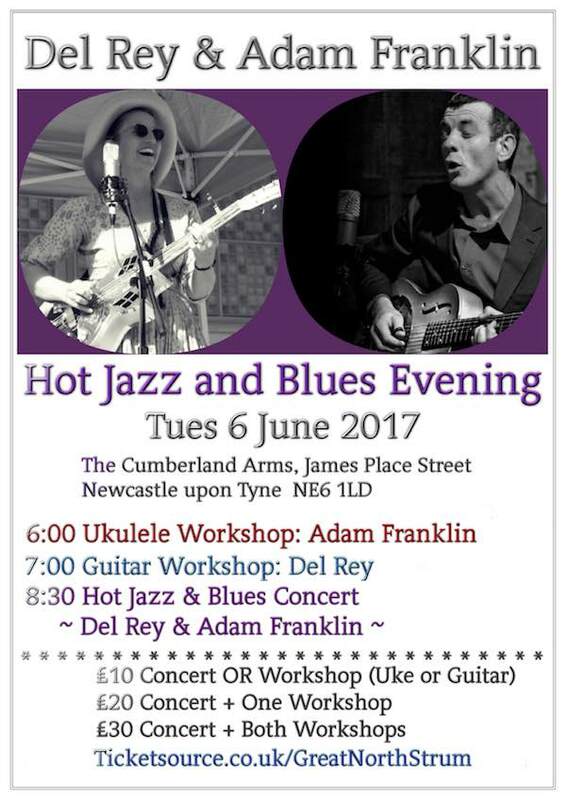 “Jack’n’Jel” are a dynamic, collaborative, flexible, fun and funny workshop and performance duo from Newcastle, Australia. 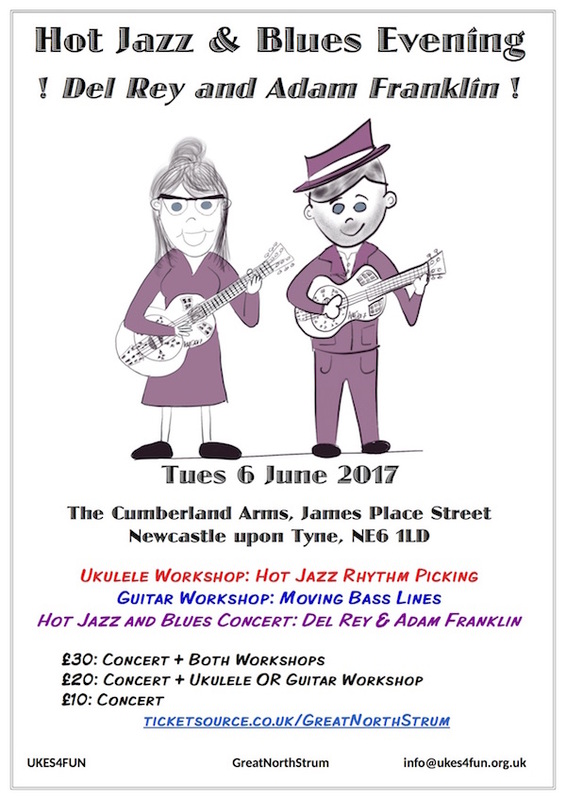 At home, Mark and Jane run 11 weekly ukestra/choir sessions, gaining an international reputation for their ukestra workshops: helping community ukulele groups to develop their musicianship and joy beyond hum n strum. They are catalysts, organising professional development opportunities for uke leaders and teachers across Australia. The Business of Being a Community Musician. They have recently released their debut album, littered with the musical debris of their lives – uke, trumpet, guitar, piano, banjo, fine harmonies and the occasional contribution from a virtuosic friend or two. Check out these workshop and review videos! GROUP BOOKING FOR CLUBS, GROUPS, etc. Group Booking Tickets cover attendance at both workshops and concert. There are NO BOOKING FEES for any of these tickets!